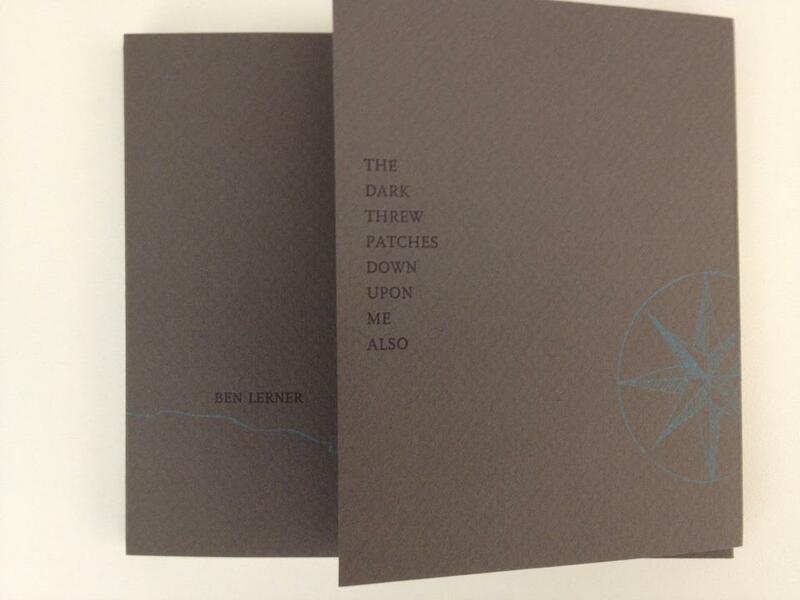 Ben Lerner's The Dark Threw Patches Down Upon Me Also. 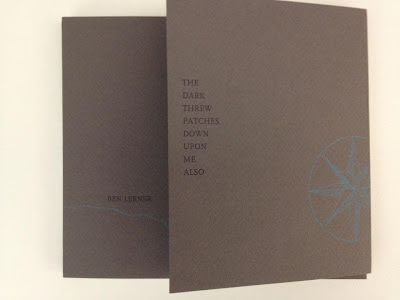 Designed, printed, and bound by Jamie Weaver, Maria Virginia Rodriguez, Kate Morgan, David Jones, Elizabeth Isakson-Dado and Inge Bruggeman at the Columbia College Chicago Center for Book & Paper Arts in the spring of 2012. 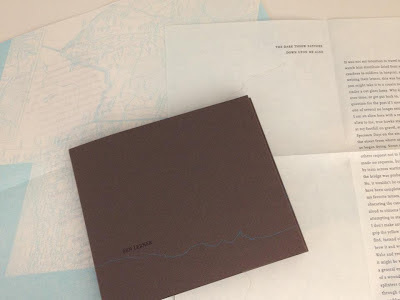 The text and imagery (from Brooklyn to Marfa) are printed from photopolymer plates. Don Share facilitated this project. There are 90 copies, numbered and signed by the author. The story behind the making of the book here.